Massive energy savings from tiny pores. The enthusiasm from Shreya Dave and Brent Keller is contagious and can be felt reverberating off the walls inside The Engine. The two became friends in 2012 at MIT as PhD students and a collaborative dynamic evolved during their four years in Professor Jeffrey Grossman’s group. Shreya and Brent share a passion for new materials with the potential to reshape industries. Shreya, who pioneered the technology during her PhD research, has long since wanted to change the world with a technology startup. Brent, a tenacious and dedicated scientist, was driven by the energy-saving potential of new material applications. When you hear the excitement in Brent’s voice as he describes industrial separation, it’s obvious they are tackling the right problem. Their professional relationship sits on a strong foundation of friendship and complementary skills. After graduating last year, they kicked off with a grant from the NSF’s I-Corps program. 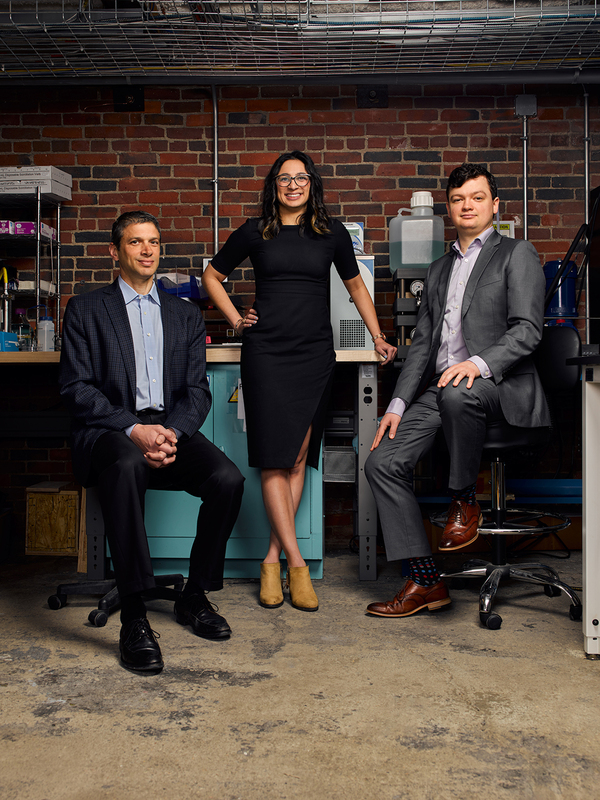 They interviewed more than 100 customers to determine if there was a market for the technology they had developed in the lab. They discovered the diversity and ubiquity of separation processes that could be redefined with a robust molecular filtration membrane. They call the white space in which their membranes operate NUfiltration: a combination between nano– and ultra-filtration methods, which refers to the size and how it works. Their membranes can filter challenging feed streams with more precision than their competitors. Applicable across a number of different industries, Via Separations is focusing on the food and beverage market as an early use case. Fractionated food components stick to membrane, creating a challenge for cleaning without destroying a membrane’s integrity. Because they are more resilient, Via’s membranes can be cleaned using more efficient protocols, reducing downtime for a plant and reducing its operation costs. Separation processes are used to make food, pharmaceuticals, plastics, resins, chemicals, and hundreds of commodity goods. In other markets, Via’s membranes will enable new products, reduce bottlenecks, and eliminate the need for other energy-intensive separation methods. The team believes their technology has the potential to ultimately replace thermal separation and the gigaton of CO2 emitted every year in the U.S. as a result. A whopping 15% of U.S. energy consumption belongs to separation process, roughly the same amount as all the gasoline used for transportation. Via Separations is leading the charge to transition thermal separations to membrane separations by pioneering their new material. If there’s a team that has the know-how and endless optimism to do it at scale, it’s Shreya and Brent. “For us, it’s all about the community and the advice,” Brent says of joining The Engine. “Now we’re surrounded by other early stage companies and we’re honored to be in the same space with people who are digging deep and are passionate about challenging technical problems.” With Professor Jeffrey Grossman offering scientific expertise and Karen Golmer, an industry expert, managing customer relations, these founders are unstoppable. One of the reasons Katie Rae, President and CEO of The Engine, chose Via Separations for the program was because of their winning dynamic and parallel strengths.